Ambassador of India H.E. 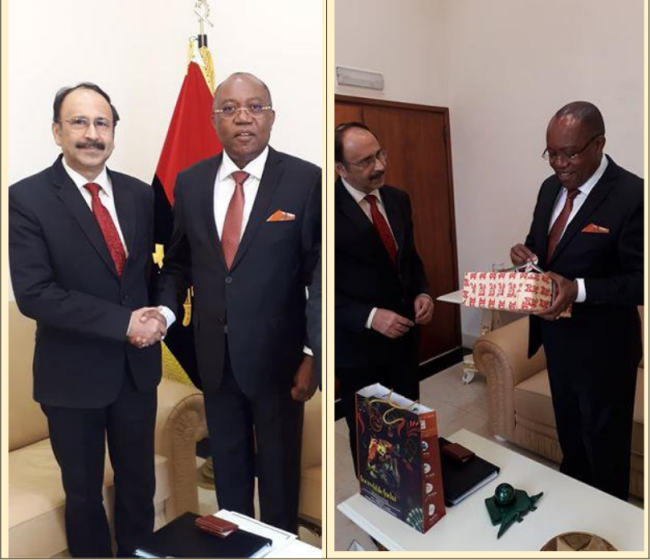 Mr. Srikumar Menon met H E Manuel Domingos Augusto, Foreign Minister of Angola on 11th January 2019 at the Ministry of External Relations (MIREX) in Luanda. Their discussions covering all aspects of bilateral relations, also focused on intensifying economic interactions in Agriculture, Healthcare & Medicine, Mining and Diamond processing and other areas, particularly through early finalisation of MoUs that are under mutual negotiations.